I read a number of magazines that expose me to information and trends that may be unfamiliar but that also can have relevance to my interests in counseling, coaching, leadership, ministry and futuristic issues. 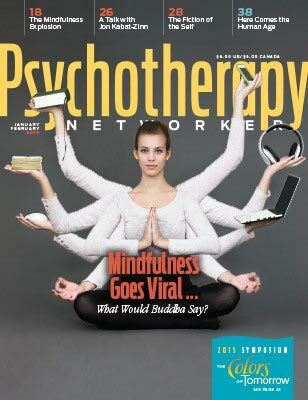 Psychotherapy Networker is one such publication. The current (January/February, 2015) issue on mindfulness stretched and disturbed me but the best article is Mary Sykes Wylie’s lengthy overview on the popularity and perils of mindfulness. Wylie describes mindfulness as a “kind of stealth Buddhism,” popularized, westernized, and mass-marketed without the “bells, chants, prayers, and terms like dharma and karma.” From modest beginnings, interest in the mindfulness movement has exploded, making extravagant claims about its effectiveness. It permeates the health-care and mental health professions, the US military, numerous corporations, university courses, sports, and even churches. It has captivated and impacted “regular people—teachers, truck drivers, carpenters, business executives, stay-at-home mothers—trying to find the inner stillness beneath the turmoil of their lives.” Mindfulness is relentlessly marketed as a form of personal stress reduction, even though there is no accepted definition of what it is or how it is done. One leader defines mindfulness as a form of meditation that involves “paying attention on purpose in the present moment nonjudgmentally.” Thousands of scientific articles have studied mindfulness but one massive review concluded that the research is not very rigorous and gives limited evidence of its effectiveness. And as mindfulness has become a huge business and fad it also has produced a backlash of critics. What does this mean for you or me? · Be open. Many practices are valuable, despite their origins, and consistent with our Christian and professional beliefs. Meditation, for example, is a biblical concept but with a focus that differs from mindfulness meditation. Wylie’s article is worth reading. What do you think? Please comment.